Do you remember the big hullabaloo (yes, I just used that word) about cell phone radiation about a decade ago? Studies about the potential health risks of cell phone usage made it onto every major news outlet, causing quite the uproar. 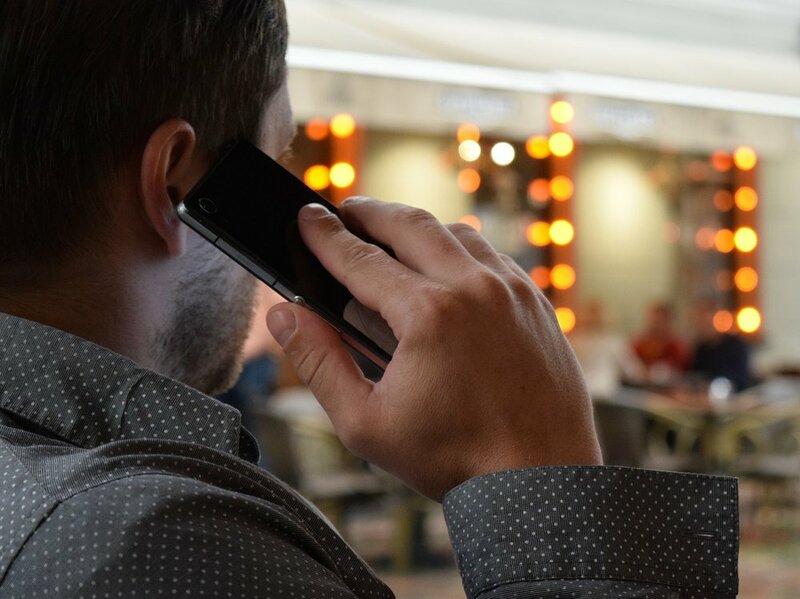 But while the uproar has died down significantly, the reality about artificial electromagnetic radiation, or electromagnetic fields (EMFs) hasn’t gone anywhere. In fact, our exposure to EMFs has only gotten more common. Electromagnetic fields actually aren't anything new. They’ve been around since the beginning of time itself. The earth has its own field, as does the sun, as do our own bodies. So when I say EMFs, just know that I’m not talking about these natural, subtle fields (which can actually be good for you! ); I’m talking about the fields that are created by artificial means, using electricity. We are constantly being exposed to dozens of different EMFs at any given time, from things like wireless routers, microwaves, cell phones, power lines, laptops, fitness trackers, and many other everyday occurrences. So, what is an EMF, exactly? Electric and magnetic fields occur naturally, in response to electric charge, or the changes in electric current or voltage. If you’d like to get technical, electric currents are produced by voltage, and magnetic currents by charge. Most things, like the Earth spinning on its axis, or electricity running through a power line, create both of these things. Combined, the electric and magnetic fields run perpendicular in invisible wave form. 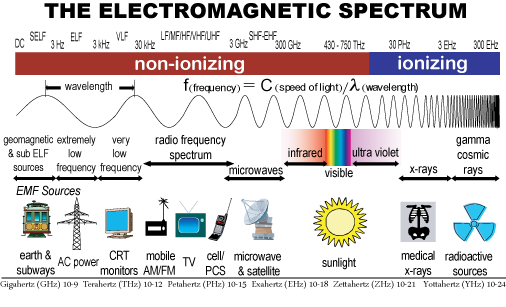 EMFs are categorized into two groups: ionizing (mid to high frequency) and non-ionizing (low frequency). The everyday sources, which is what I’m focusing on for this blog, all fall under non-ionizing, or low frequency EMFs. But that doesn’t necessarily mean they’re all safe. You’re likely to find a lot of conflicting research out there on EMFs, and I am not saying I’m an expert in this, by any means. But just keep these two things in mind, if you decide to do some poking around online: 1) symptoms caused by low-grade, continual EMF exposure are often subtle, and may take years to show up, and 2) there are a LOT of large financial interests from the telecommunications and electronics industries at play. That in mind, there have been several studies over the past ten years or so, on the potential health effects of electromagnetic radiation. The biggest concern was the increased risk of cancer, most notably brain cancers and leukemia. Another study found that cell phone use changed the way our brains utilized glucose, potentially increasing nervous system inflammation. One terrifying study saw detrimental effects (increased porosity) in the blood-brain barrier after just two hours of EMF exposure, leading to dementia-like symptoms. Another paper demonstrated a reduction in our body’s natural antioxidant levels after talking on a cell phone for less than an hour! In the end, no matter what the current research shows, I’d rather be safe than sorry when it comes to radiation. I try to avoid it as much as I can, without becoming a total Luddite, of course! Thankfully, there are enough of us EMF-cautious consumers out there now, that we’re finding more options to protect ourselves and our homes from this kind of radiation. You can do as little or as much as you’d like here, depending on your lifestyle and budget. When you put your phone in airplane mode, this essentially stops all wireless transmissions to and from your device. So, if you’re not actively using your cell phone for a while, turn on this feature. This is especially important when you’re asleep! Not only will you prevent unneeded wake-ups from buzzes or lights, but you can cut your EMF exposure significantly, depending on how many hours you’re sleeping at night. One thing that most people don’t even think about, when it comes to radiation exposure, is the utilities meter on their home. However, as more and more corporations are demanding the change to “smart meters,” the risk of radiation to consumers is growing. These new meters, as opposed to the old school analog ones, wirelessly transmit information about your electricity usage in microbursts, hundreds or even thousands of times per day. If you want to educate yourself on this, I’d highly recommend the documentary Take Back Your Power. Or at least cut down on how much you use it. Especially if it’s head-level! Every time you push “start” on your microwave, it sends a powerful blast of electromagnetic radiation into your space. If you’re like most Americans, you’re probably pretty dependent on the microwave, but trust me, you can make do without one. Try heating up food on the stovetop or in the oven, or swap out your microwave for a countertop convection oven. Remember that the earth has its own natural electromagnetic field? We can connect to that field to balance out the potentially harmful effects of artificial radiation. 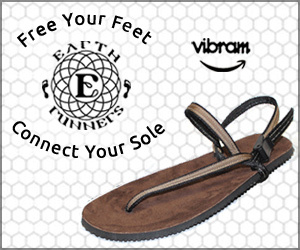 When we practice earthing, we can utilize the free electrons on the earth’s surface, to release some of the built-up voltage in our bodies and neutralize some free radicals. A regular earthing practice can result in lower levels of inflammation, better sleep, improved immunity, reduced pain levels, and other benefits. Spend time barefoot, in contact with the ground. Lay in the grass. 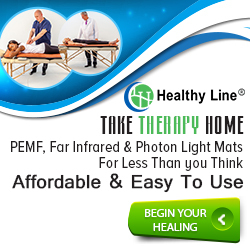 Or use an “earthing mat” indoors. These days, there are companies that make amazing products that are designed to shield you from and/or transform EMF radiation. These devices come in a variety of shapes and sizes, some of which you can attach directly to your phone, laptop, Wifi router, and other EMF sources; others you can carry with you or drape over you. 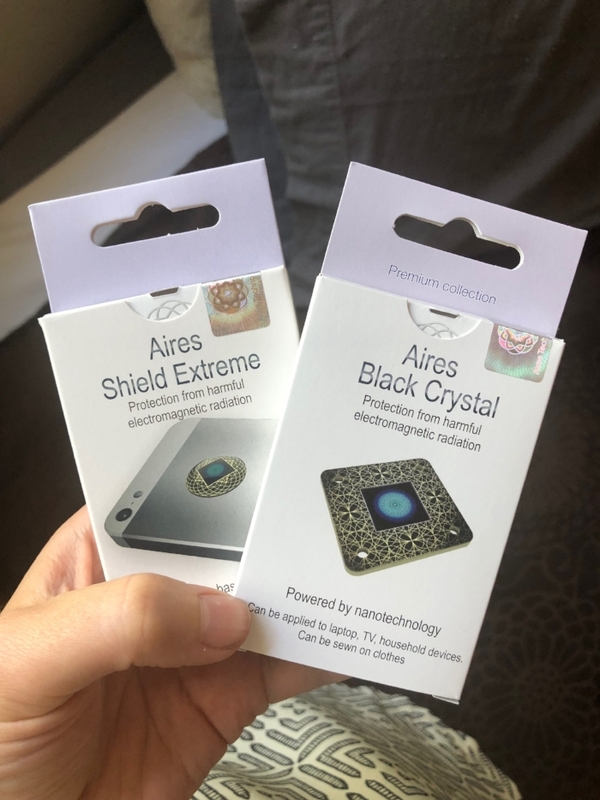 My favorite brand for EMF shields is Aires Tech, and I’ve been using their Aires Shield Extreme (on my phone) and Aires Black Crystal (on my laptop) for a few months now. 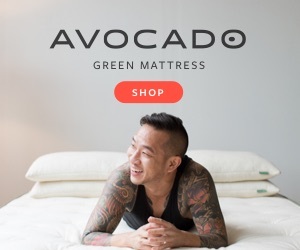 Their science is solid, their products are beautiful and nonintrusive, and they can give you valuable peace of mind. 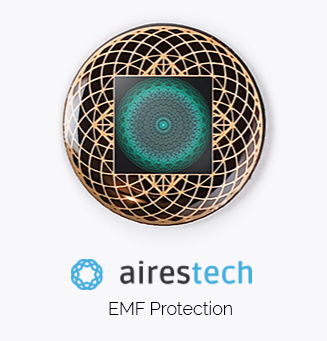 If you want to check out any of the Aires Tech shielding devices, click HERE (or the image below). Use the coupon code abrighterwild10 for 10% off your order! No matter where you sit on the fence about the dangers of EMF radiation, hopefully you can agree that the fewer artificial influences around us, the better. 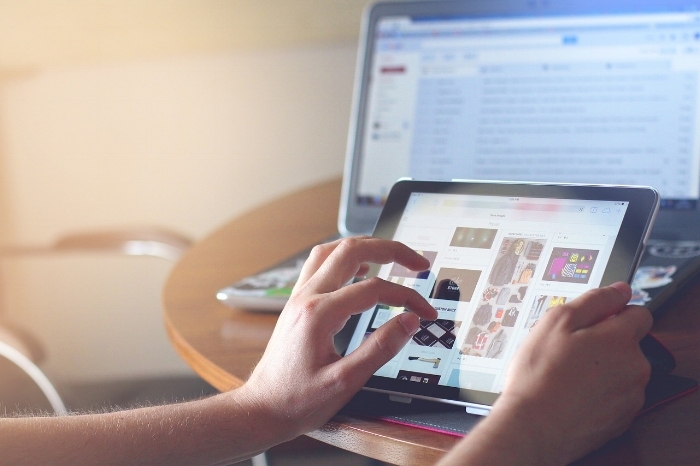 Obviously, technology isn’t going anywhere anytime soon, so we need to be smart about how we interact with it. If you want to protect yourself and your home, these five tips are a great place to start. So, friends, tell me- are you concerned about EMFs? What are some of the ways you try to reduce your EMF exposure?